The dress is a princess line dress with square neck detail. It is designed to be made out of crushed velvet fabric and a rich woven fabric such as taffeta or satin, although other fabrics can be used (non-stretch fabrics may require the use of a zipper or other back closure). As the dress has been designed to be made from a fabric with stretch, there are lacing loops that run down the back, to enable the dress to be tightened for a closer fit, if needed. This dress will fit over a standard hoop skirt (110 - 120cm circumference) to give the large A-line appearance of the images. A hoop skirt pattern is NOT included. 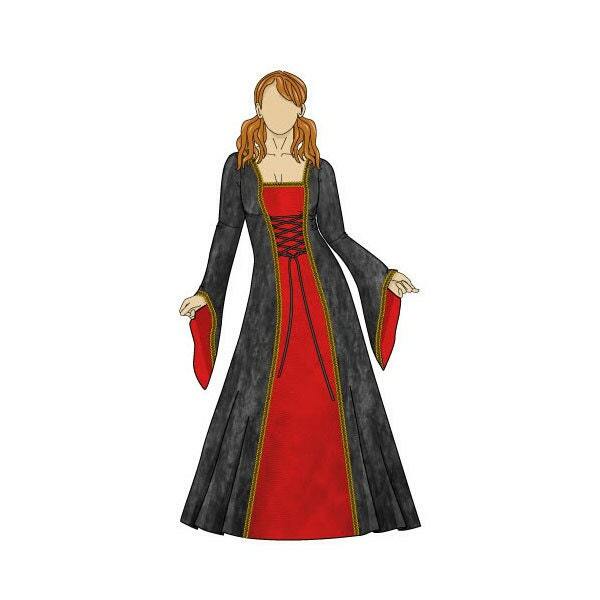 The Medieval style sleeves have a 25 inch drop, and are designed to cover the back of the hand. 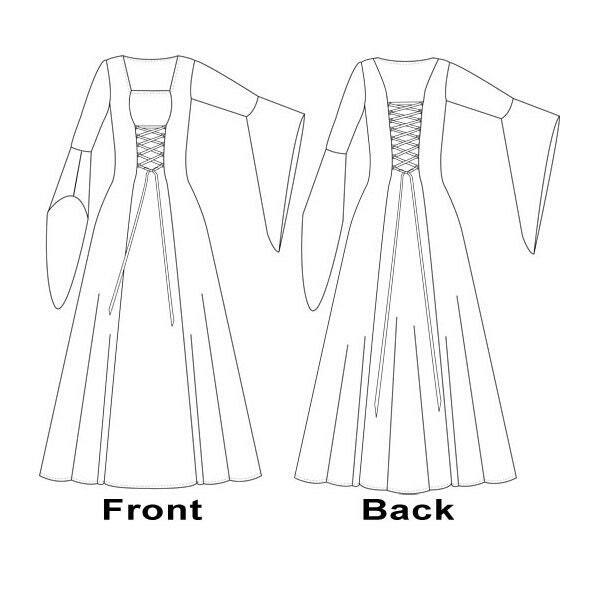 This is a relatively easy pattern to sew, however you will need some basic understanding on patterns, pattern markings and sewing techniques. If you're in any doubt refer to a good sewing book.